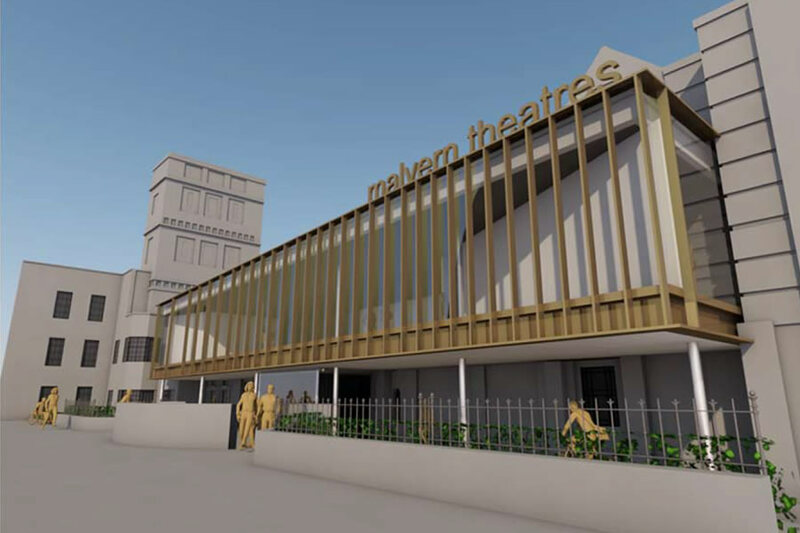 Malvern Theatres is presenting detailed plans for a capital project to create a new dedicated education and rehearsal space. This addition to the existing building will provide a much needed area for the venue’s continually expanding programme of learning and participatory events, including a range of classes, art workshops, fitness activities and talks. The area will provide a rehearsal space, both for our own professional co-productions and also for our talented Malvern Theatres Young Company, who will be able to present more productions as a result. The proposal aims to create a simple and unified façade to the western (Grange Road) side of the building, with contextual links with Malvern and The Priory opposite in terms of its coloration. Deep vertical glazing members at diminishing spacings will represent the opening of the ‘curtain’ as a bold, welcoming gesture. Behind the glazed façade the extension offers a generous, light-filled and flexible area at first floor level along with much-needed administrative spaces, storage and important changing areas for those with special needs. 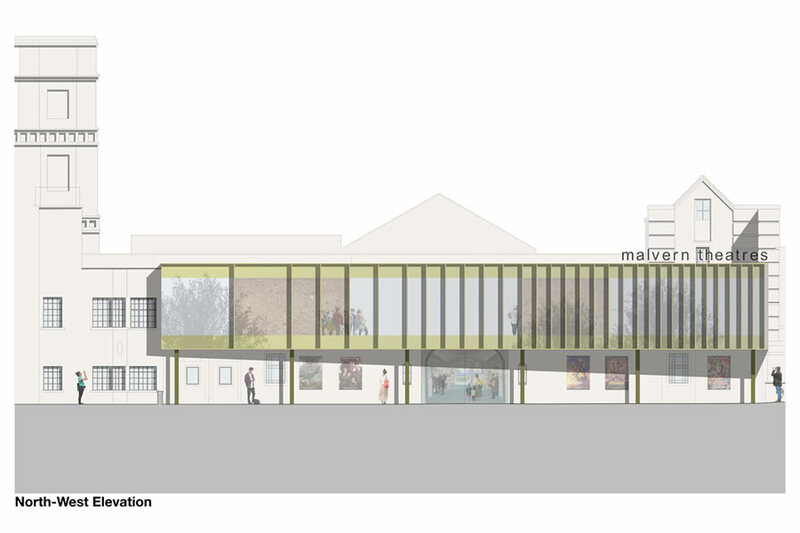 Between now and July 20th, Malvern Theatres is hosting a public consultation on its plans. This is the first step of the formal planning application. Pre-planning conversations have gone well and Malvern Hills District Council has awarded the theatre £200,000 towards the project. Malvern Theatres has also received a grant of £120,000 from the Arts Council, subject to planning permission, as well as £100,000 generously donated by The Kay Trust. Presentation drawings of the proposed project (by Glazzard Architects) can be seen below or downloaded in pdf format. The plans can also be viewed in the Theatre’s circle bar area between 17th and 20th July, where a model of the scheme will also be on display. We welcome your comments on our proposals and these can be made using the comments box below or on the cards available in the Theatre. Theatres Chief Executive Nic Lloyd will also be available to discuss the plans in person between 4 & 5pm on Tuesday July 17th and between 10 & 11am on Friday July 20th. Understand why the space is needed but this looks hideous. If built, in the future I can imagine future generations looking at this in the same way I view ’60’s concrete monstrosities, and saying, “how on earth did they ever think this was a good idea”. There has to be a better design out there. The front façade should welcome the visitor to a 21st century theatre rather than a dreary copy of a previous century building. Be theatrical go for a memorable translucent multi coloured banner façade as suggested by Iain Paul. However; to enhance the curtain metaphor I think the width of the windows should be reconsidered. I really like the modern design. I do however agree with Iain Paul that multicoloured windows would give it an amazing jewel-like appearance – terrific idea. I applaud the adoption of a modern approach to the design of the theatres new frontage but need it be so anonymous ? The first floor glazing could for example be treated as a translucent multi coloured banner, memorable, like so many performances at the theatre over the years. Too much for Malvern I expect. Yet again some designer wishes to destroy the look of an old building, take a look at St Johns library as an example, with some arty type glass construction. Why cannot a facade be built that would complement or improve the existing building and keep it in the original style. Is there something wrong in maintaining our heritage. It is clear that many people object to this extension design. There was also much objection to the previous refurbishment, yet that resulted in the fantastic facility we all enjoy now. It is not the appearance of the building that matters most, but what goes on inside it. By all means consider the views that have been put forward but please don.t lose sight of the vision and modernity. Malvern needs it. What a dull addition to a great renovation . A dated design which manages to be unsympathetic to its surroundings! Probably will be like a greenhouse inside in hot weather. I agree with the many previous comments about the appearance of the proposed extension. It is totally out of keeping with both the theatre building and the surrounding architecture. It really won’t do. Malvern Theatre is a huge asset to Malvern. I’ve no issue with the Theatre wanting some extra space, but I think this design is very unattractive. It’s really out of keeping with the area – close to the Priory and the current facade is rather jolly, like an old fashioned railway station. Can you not think again about your approach to providing the extra room? It’s a shame to mess up the front of the building, why not put this over the terrace at the back with an outlook over the park. I am a former Malvern resident and regularly return to the theatre – excellent shows and friendly atmosphere, thank you. Please don’t spoil the front approach. Let’s not forget that there are other small performance spaces in the town which provide affordable theatre and gig space for the community – the Coach House and the Cube both already do a terrific job. Malvern theatre is a great asset to Malvern and I don’t have a problem with its expansion, but as with so many comments below, this is not a great design solution. By all means do something modern but, as with the library, respect the heritage and do something tasteful ! Having examined the model and talked to Emma today I’ve revised my opinion. I now appreciate the thinking behind this design and feel that it will be a real asset to both the theatre and wider community. I cannot think of another theatre in the three counties that offers the opportunities and engages the community in the way that Malvern Theatres does. It constantly offers workshops and events for people of all ages to get involved in allowing them to learn new skills, meet friends and improve their lifestyles. The Theatres also provide top class (and I genuinely mean top class) performance opportunities and professional development through the Malvern Young Company. As a Young Company member from 2013, I owe so much of development to the Theatres, such development that has undoubtedly aided me in getting professional acting work and a place studying Theatre at University. The problem that the Theatres have always faced however is lack of space. The Theatres are trying to expand their projects and support more and more people in any way they can however they cannot do this if they do not have the space. Too often, due to lack of space workshops and rehearsals have been cancelled or moved to an inadequate space (staging One Day More from Les Miserables in a small dressing room does not work well, trust me!). This space is so needed and will definitely become a great focal point of the local area! The creation of this space will only result in the growth of those in the local community. This is not an investment in architecture or business but an investment in people, something we so desperately need more of. As someone who has been involved with the theatre every year, a dedicated rehearsal area is exactly what the building needs! it would be incredibly beneficial to not only Malvern Theatre Young Company but also provides an additional area for other areas of the community to utilise bring additional profits to the theatre. In addition to this, the enhanced more modernised look of the extension will draw in more people to the theatre, Malvern and the surrounding area in general which is a great thing for our local community!! I can appreciate the need for rehearsal space, but I think the proposed design will ruin the facade of the theatre. It will soon become dated as with all the current trend for glass and steel. The new extension means that Malvern Theatres would move with the times. Not only would it give the Grange road entrance a more striking and open appearance, it would provide much needed space so that the theatre could increase its collaboration with the community, professional touring companies and Malvern Theatres Young Company (to mention a few groups). As a performer from MTYC, I can vouch for the fact that rehearsal spaced is limited to the Forum theatre (when it is not in use) the Hospitality Suite (the same again) and the circle bar (meaning that the rehearsal room is effectively open to the public). Due to the many events at the theatre, these spaces are frequently occupied during rehearsal times. Although we can make do, a space for the purpose of rehearsing and creating would be a game changer. I am sure that a smart, professional job would be made of this extension allowing the theatre to both preserve its origins and flourish in a new era. This extension is a fantastic idea. The theatre space is often being used for shows and so incoming productions have small & limited, if any, rehearsal space, often being placed into the circle bar, completely free and open to the public which is very distracting when you are trying to rehearse. In addition dedicated space will be available to be hired out for groups which will provide additional income to the theatre. Moreover the Young Company would benefit massively from the space as it will give us the opportunity to split into smaller groups and work on scenes / songs / dances in groups which will enhance the productions. It would also increase the professional appearance of the theatre and will attract more shows and opportunities, in addition to bringing more youth to a very aged theatre community. This is a brilliant idea as someone who had rehearsed and performed at the theatre for many years I believe that not only would it be good for the many youth productions and activity’s they do for the community but also it expands the uses the building could be used for. The design is beautiful modernising the building well expanding its uses. I personally feel that it would enhance the beauty and the majasty of the great theatre. It would draw people in and make it not just a theatre but a landmark that people would come and see more then it already is because it is being used in the most effective way possible. I feel strongly that this extension would allow the theatre to continue to help the community. I’ve done many productions with Malvern young theatre company and I do agree we do need more space, we rehearse while the stage crew are putting up the stage which isn’t ideal. This gives us the opportunity to have a quiet safe place for us to rehearse. We spend four weeks of our summer holidays in the forum and it would be amazing to have a place where we can rehearse every year a place designed for projects like ours. I love that Malvern Theatres has such a unique classical feel so it, but this extension won’t stop the inside looking any less unique. As a previous young company member, rehearsing in the Forum space was always rife with issues, and was never really suitable to the needs of companies working creatively in the space. I think this new design is beautiful, fresh and innovative; it would be practical to artists within the building as well as a modern addition to such a historic building. As a member of the Young Company, I can’t put into words how useful this space will be to not only Malvern and the young company but other companies. It will help Malvern Theatres expand, develop and grow even further and provide a new revenue stream for the theatre! Would be a very useful space! I do agree that this design is not the one to choose. Can the theatre be developed at the side rather than add this eyesore? It is possible to develop buildings sympathetically. The current architectural cliches of acres of glass and wood cladding will soon look very dated. Remember William Morris’ injunction about beauty plus utility! Whilst there is a need to develop and create more space, as with the majority of the other comments posted, the design is not in keeping with the current Theatre nor the environs in which it sits. There needs to be an alternative that reflects and compliments the current theatre and its surrounding area. I’m sorry, but the current Theatre façade is not a great piece of architecture, more railway station platform than iconic entrance. The new design makes for a stunning façade and will improve the presence of the building as well as giving much needed extra space. The back of the Theatre on Priory park is the best bit of previous renovations, so why would you alter that to put an extension on the back of the Theatre. Let us continue to move forward with the theatre and make it a centre of the community not a relic from the past. Yet another iconic building in Malvern being ruined! Agree that the new space will be wonderful, but its appearance will be an abomination!! Why not use the space at the back of the building?? Designers gone mad?? Evolution, expansion and development of the theatre’s facilities are, I am sure, both necessary and ought to be supported. However, any proposed scheme must demonstrate compliance both with the terms of the Town and Country Planning Act and the Council’s own published supplementary planning guidance for new development in the Great Malvern Conservation Area. Section 72 of the Planning (listed Buildings and Conservation Area) Act 1990 expects that any development proposed in a conservation area should conserve or enhance its character or appearance. In the Malvern Hills District Council’s Great Malvern Conservation Area Appraisal and Management Strategy document the theatre is identified as an unlisted building of local interest. It is not obvious from the supporting information available on the web site how the current proposed scheme will respect the perceived local architectural interest of this building, or how it would either preserve or enhance either the character or appearance of the conservation area. Failure to meet either of these provisos could lead to a procedurally flawed planning decision. This proposal would impose an incredibly unsympathetic and intrusive structure on the very heart of the Great Malvern conservation area. It seems to be completely at odds with the appraisal and management strategy for the conservation area and, if approved, I don’t see how the planners could credibly reject any future developments as inappropriate. 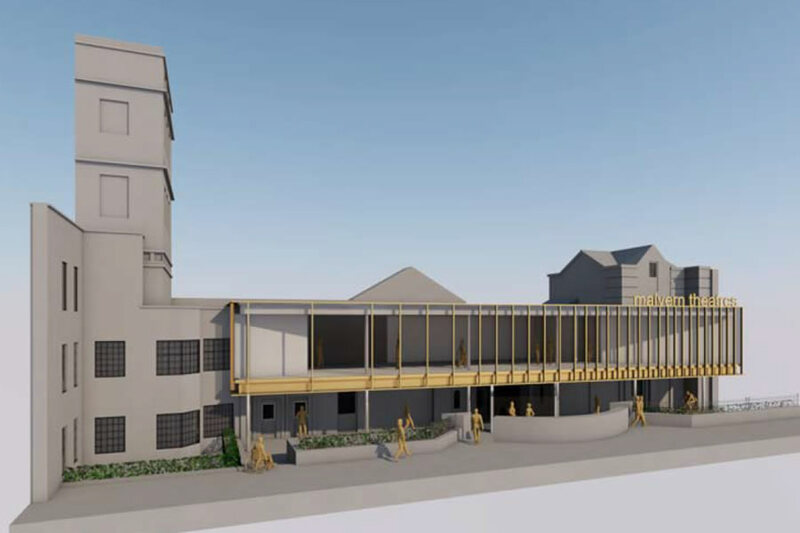 An alternative structure replacing the nondescript extension to the right of the theatre facade could provide the required additional space, without destroying the character of an important part of Malvern’s heritage. I have no idea why you would put the extension at the front and ruin the existing good looking frontage. It needs to be at the back where the architecture needs improving. I like the idea of more space but why not do it intelligently. Malvern is one of our favourite venues and part of the “experience” is arriving at the delightful building as it now is. Please do not add anything to ruin this ambiance. There must be other means of accommodating the facilities that are under consideration or if not there are sure to be other sites/buildings in the neighbourhood that could be used to good effect and in fact perform a wider use for more groups/organisations to develop in the dramatic arts. The theatre needs facilities BUT also needs a contented audience. I fully support Malvern Theatre’s plans to boost future learning and participatory events however the proposed redesign to the front of the theatre is absolutely hideous. It is not in keeping with the rest of the building, Grange Road or Great Malvern itself. It is no exaggeration to say that this dreadful facade would only look suitable on an ugly 1960/1970’s university campus. Please think again. Ugly ugly ugly. Absolute philistinism. Expand at the rear of the building if you must but please don’t spoil that familiar facade. I would have thought that sorting out the parking problems would have been the priority, not creating more of them. One of the worst aspects of Malvern Theatres is the woeful parking facilities, especially those for disabled drivers. You may build things to attract more visitors, but are you considering where they’re all going to park? Including disabled drivers? I consider myself very fortunate to live in our beautiful town and have always admired it’s glorious period features so why then do we have to be dragged into the 21st century as one person has stated . Any new additions would need to compliment the remaining period features that were left from the last disastrous alteration. I fear we will be forced to view this hideous extension for many years to come just look at that awful add on to the Abbey Hotel . This will be a huge mistake and this is my own opinion I am not just joining the mob as was impolitely stated earlier. Fantastic to hear that you will be having a changing space in your new developments – this is so needed and will promote equality of opportunity – really glad that your are taking this initiative. This intrusive design looking like a glass railway carriage on stilts right at the front of the building spoils the architecture of the historic theatre and may even become an abomination. It reminds me of 60s glass/concrete disasters that blight many cities unchanged one built (eg colleges of technology built with artistic/engineering license and a great deal of money). Why cannot they make use of some of the wasted space inside the building? They could put a new floor in? It reminds me of the new library at Birmingham Uni. Although the new theatre isn’t my style, changing with the times is important. I would hate this theatre to close through lack of funding. I’m happy that there is a proactive approach. I love contemporary design done well, but am not sure this is a great design solution for Malvern Theatres. As someone said in a comment above, the scheme at Malvern Library to extend the building but keep it’s facade intact is an excellent model. I would be interested to understand if other designs have been considered which make use of other less visually promenant parts of the building as surely there are other possibilities which allow the heritage facade to remain whilst creating much needed additional space in the building. Not on the front please. The back would be fine, Ive never liked the back view much and it would be lovely overlooking the park. But no, no, no not the front. I applaud the initiative to expand. I live 20 miles from Malvern and am a regular theatre visitor. The blending of the old and new inside the theatre is a huge success. I don’t have the same view for this architectural solution. It does not improve the visual impact of the original facade and is incongruous with its surroundings. I read that the original facade is not listed, nevertheless still valued. I would prefer yes, a modern architectural solution, but one which is loyal to the victorian heritage of the town. From a customers perspective I believe the money would be better spent fixing the air conditioning rather than making the theatre look like a 70s department store. This is a great improvement to the 1930s original architecture and gives a modern look to the entrance to the theatre complex. It is in keeping with the more recent addition of the atrium. However the office space and meeting room on the first floor need to be rethought. It might be better if they were situated together at the right hand end making more practical use of what is a difficult space. They would also benefit from natural light from the windows rather being partitioned off as on the existing plan. They detract from the visual line when viewing the front elevation and and appear to be add on partitions. This would leave a four sided regular space for the studio without any odd bits taken that will become unusable and will inevitably gather junk. I have never yet been in a modern glass building (even award winning ones) that has been adequately temperature controlled, despite what the architects tell you. This will take a huge effort to even attempt to keep cool in summer and warm in winter. In these days of ‘green’ building, surely something more eco-friendly could be devised? I agree that extending at the back of the building would be more suitable aesthetically although the design as it stands is interesting. I think it would be a shame to loose the current frontage with the gable entrance, it’s in keeping with Great Malvern Station. Why is it not possible to do an extension to the south west wall, that may involve less engineering and be cheaper to finish? I’m inclined to take the view that incorporating the existing rooms at the rear of the Theatre and going out and above the existing terrace and steps would give a wonderful rear outlook. That said with the Arts being under huge financial pressure and schools reducing or removing drama and art from the curriculum this proposal is a hugely welcome boost to the performing arts, education and Malvern. I welcome this development. How sad and disappointing to read such negative comments from a vocal minority of Malvern residents. I, for one, applaud the attempts the management are making to create a modern space that will, without doubt, serve a fantastic purpose for many years. We are incredibly lucky to have such a venue in Malvern but in order for its continued success we need to embrace change, something that I feel certain residents are reluctant to do. Times move on and if we do not move with them, this wonderful theatre that we love so much will become outdated and irrelevant. I am sure you could guess what would happen to the town should it loose such an enormous asset. To address certain concerns regarding the building… The theatre certainly isn’t one of the oldest in the world and there is nothing outstanding about the architecture of the main entrance otherwise it would be a listed building. Those concerned about actors rehearsing in the space need not worry as I’m sure they are used to people watching them. The plans for the space sound truly admirable and I implore everyone to carefully read the details rather than join the mob and condemn something they haven’t fully understood. I strongly feel that Malvern needs to join the 21st century and get behind plans that will help put our beautiful little town on the map. I’m sure some people will like the ‘modern’ appearance of this, damaging as it is to the styling and setting of the theatre in Malvern. The proposal is damaging to the appearance and setting of the building and obscures the current attractive facade and will have an adverse visual impact on this area of Malvern. Surely, some other proposals could have been developed without having an impact on the front of the Theatre! This sort of ‘modern’ development quickly starts to look tired, dated and our of favour. Has nothing been learned from the1950s, 1960s and 1970s architectural disasters? Sorry I think this design is unsympathetic to Malvern it would look out of place. Could the design be more in keeping with Malvern charm and not something that would look out of place in a city. I favour the use of the rear on two levels as giving more space for expansion and a chance to make easier ramped access from the rear car parks. If the present proposal goes ahead I would square the office and meeting room ‘angled walls’ to the glass front to give better shapes, and relocate the door of the Office. If privacy is a factor then one way glass is an option. An extension at the back could be 2 storey giving even more space for the facilities you describe; at least that would have the advantage of not overpowering the existing frontage. If the Theatre had infinite funds then other architectural concepts could be considered. However, I recognise that the finance of the project governs and limits the proposition. As such the compromise, to me, is an acceptable extension and improvement to facilities, therefore I welcome the envisaged plan. This design is inappropriate for any building in central Malvern. When the public library was extended, it managed to enhance the interior while preserving the traditional frontage. As the back of the theatre has already been modernised, perhaps the extension could stretch from the left of the rear doors replacing the balcony which currently contains a few tables and chairs. Even a side extension towards Orchard Road would be partially hidden fron the road and would preserve the traditional frontage. I agree with the majority of the comments, a vast expanse of glass is totally out of sympathy with the existing architecture. It will look like any other ‘modern’ building across the country, notably service stations on motorways, and temporary factories. These ‘modern slap ons’ will quickly become eyesores -one only have to look at the ‘slap on jobs’ of the 60s and 70s! Also who on earth would use a place that does not give one any privacy ?I shall not be donating to this project. It’s a given that the theatre needs more space but I’m not sure that this is the way to do it. If land is not available for extension at the back of the theatre then a nearby building could work and the idea of making somewhere like Prior’s Croft an asset is an attractive one! Create a new theatre complex from the existing theatre, the Coach House and somewhere close at hand (the empty bank? ), and resite the restaurant which would still leave room for rehearsal/educational use and free up more seating space in the bar and foyer. There are too many stuffy negative comments about this proposed development. Malvern in general needs dragging into the 21st Century and this could be an eye-catching space for the whole community. Well designed modern architecture can compliment traditional architecture if done well. I say go for it with the proviso that it is done well! Why impose a rectangular glass and steel extension on to a curved stone façade? With wonderful views to the rear why not reconfigure the existing meeting/hospitality spaces behind the theatre, extend over the terrace and add a floor above? This would give great new spaces both for work, rehearsal and customers and be in keeping with the style at the rear. I like it! It’s a very good plan to increase the community, workshop and rehearsal space in the theatre. If this is the best place to do it,that’s fine by me. I don’t think the existing front facade of the theatre is that great anyway, and a new glass extension on the front will look modern and stylish. Just because we live in Malvern we don’t have to be stuck in Edwardian times. I agree with the idea that the theatre should be modernised and provide additional facilities but the new design will make the place look completely out of character with the area. My suggestion would be to extend at the back of the building, with large glass panels around the sides so that visitors could enjoy the view whilst sitting down. 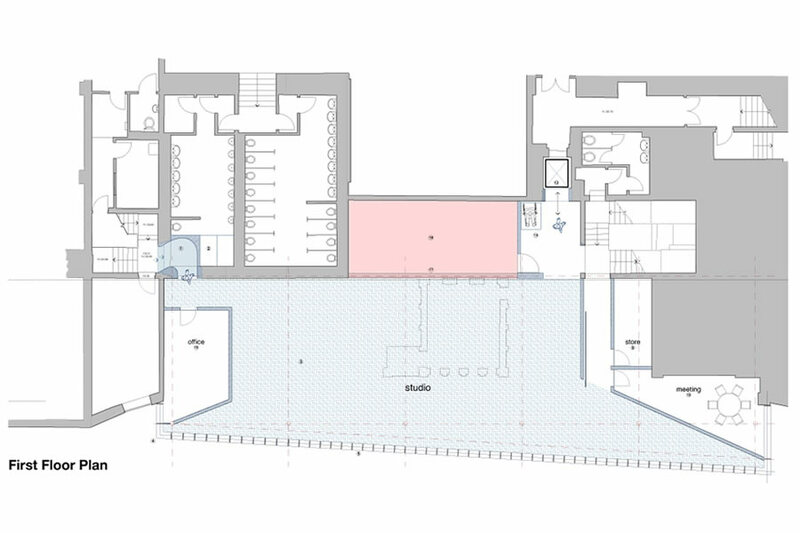 This would provide much required additional seating at ground floor level and at the same time would allow the space at the back of the building to be put to better use. 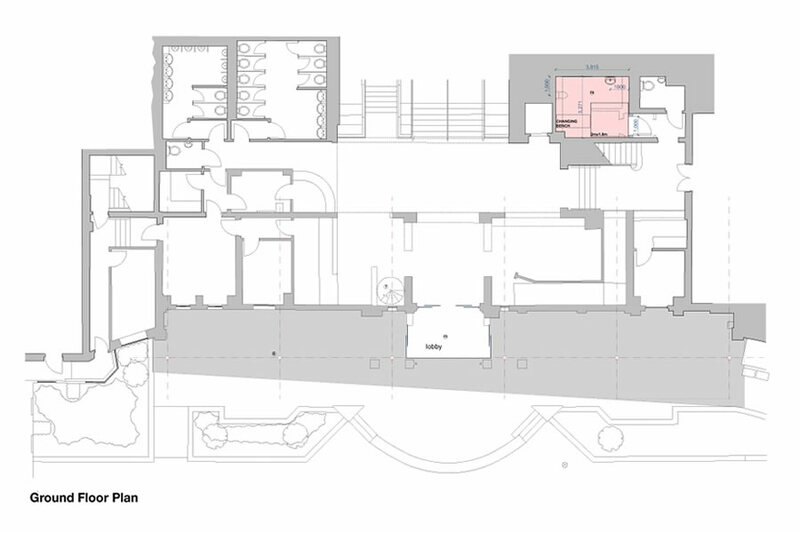 Then, a first floor above this new extension could provide the additional facilities as now identified. My view on the present proposed glass extension is that it is horrendous, would definitely spoil the front of the building and would provide fewer facilities than my proposal. As a regular theatre-goer I can confirm that there is a distinct lack of seating at ground floor level. It reminds me of a 1970’s motorway service station, so perhaps the theatre should also include Costa Coffee, Burger King and similar fast-food franchises to help finance the development? I am not totally against the design itself, but not in that location. How can you have a theatre in such a beautiful, prominent position, and then put THAT in front of it, thereby concealing the beauty of the park location and view. PLEASE DON’T DO IT. You will regret spoiling such a gem. The need for the space is clear. We do not support the look of this new glass building & will not contribute unless & until the look is more in keeping with what is close to it! Should you ignore majority of views you risk a serious funding shortage. Having the new facilities will be of great benefit to the theatre, but this design in this location won’t. The all-glass design is presumably to keep costs down but it clashes with the existing frontage. I feel the extra space needs to be on the main site but you need to look for another location on the site or a completely different design. I also feel that both adults and children may not be keen on workshops and classes where passers-by can stare at them. The advantages of extra space to both the theatre and the town are obvious, but it seems a waste of time and money to produce a design such as this, which is surely not serious. These drawings must be intended only to provoke protest at their crassness and a discussion of how best the needs can be met with an architecturally sympathetic extension, perhaps at the rear of the site. This is not in keeping with other buildings at the front of the building. I like glass but this design is ugly and does not have anything stylish or unique about it. Obviously extending educational facilities is a wonderful aim but as an ex teacher I worry about children and young people being on view to members of the public while training. Like everyone else who has commented, I don’t think the addition of a glass structure to the front of the building is appropriate and I’m surprised that planners have been positive. This is out of place with the surrounding architecture and not sympathetic to the design of the existing building. I’m not against extending the space that the theatre has, but this is surely not the way to do it. Please rethink! Excellent idea to develop and extend the theatres use, however I do feel that the design needs to be more sympathetic to the existing structure. I’m a firm advocate of innovation but the new space should enhance, not detract. Sorry but an elevated glass box on stilts at the front of a prominent historic stoned building in Great Malvern doesn’t go. I like many modern buildings in the right location but this is a complete mismatch. I am afraid I also think it will ruin the look of the theatre. The back is also not suitable. Could the theatre not use an existing building, such as The Cube, for the youth theatre? As a visitor to Malvern and the theatre about 4 times a year I can not comment on whether these facilities are needed but I totally agree that the proposed extension is not in keeping with the building and would better fit at the back than the front. I hope the local planning committee can see that this would be a mistake. I entirely agree with the 99.99 per cent of your customers.What an eyesore. I’ve slept on this, as a first ‘gut’ reaction is nearly always negative. In my opinion, an addition to an existing, old building, should be linked (not abutted) and be of it’s time ie modern. Good examples – the Ashmolean, Oxford and Compton Verney. To have something similar looks false and bland, eg the National Gallery extension (the ridiculed ‘carbuncle’ would have made an admired modern statement. Just to modern for the surrounding area and buildings,please think again!!! Modern glass boxes are an architectural dream, unfortunately these type of schemes look dated in just a few years. It doesn’t take long for people to site things inside the glass that then makes it look messy from the outside. Ruins the facade and creates a possible dank area beneath rather than the pleasant welcoming entrance we have now. I would like to see any local underused buildings reimagined before this scheme. I fully support improving the Theatre especially whn it involves supporitng youn talent. I must however agree with many of the people in saying that I do not think that the proposed new building is in keeping with the current surroundings. If it does go ahead I hope that enough attention will be paid to the potential amount of solar gain using so much glass and the potential cost of keeping the building at a good ambient temperature. I have nothing against modern glass extensions, but this is not sympathetic to the surrounding area and architecture at all. A good idea and a good plan, but definitely not on that site. Contrasts with beautiful buildings in Grange Road. Please find another spot for this development. Totally out of keeping, a carbuncle. In principal, developing the complex further shows a positive commitment to Malvern. However I have to agree with many that the rear of the building would be more appropriate. That view of the complex is very boring, and this design (or similar) would do more to enhance it, than the current proposal. It seems an odd place to gain additional space. To quote HRH,a “monstrous carbuncle on the face of a much-loved and elegant friend”. I don’t like what is proposed. I feel it will spoil (destroy) the look and character of the existing building. In my view glass boxes on stilts don’t belong on our theatre in Great Malvern. There must be another way of providing the space required without having to do this to the building. For example why not rent/buy space elsewhere in Malvern where you could have your own car park etc. The Cube, if you could agree terms, would be an excellent place to invest the money. It already has a stage and much more. Young people are familiar with the Cube and already put on productions there so it would seem like a golden opportunity to improve on what is there already. I would urge you to completely reconsider this plan. Judging by the pdf, this is derivative, out of character with the surroundings and as lazy a piece of design that one could imagine. This would be a shameful addition to Malvern. Please think again. it’s a good idea but this is spoiling the front of the theatre. It seems to be stuck on the front for the sake of it with no apparent blending together of old and new. There must be plenty of space at the back where it won’t have that ‘in your face’ impact. Who even thought of it? How silly can you get. Come on, spend the money more wisely. Sadly I concur with the majority of comments. In principle a great idea, but the location and design of the extension is appalling. Please consider relocating to a less intrusive location or commission some more inspired architects to pitch for the scheme. Like other people commenting here, I don’t dislike modern architecture at all, when it’s in the right place. This is NOT in the right place! It will destroy the current classical frontage which has been combined with a modern and very well functioning modern building. This needs a major re-think if it is not going to completely ruin not only the current building, but also the immediate area surrounding it. I fully support the idea of investing in the Theatre’s infrastructure to increase facilities. It is a dynamic place & manages to get through an massive repertoire of stuff in a relatively small venue. However, these plans seem to want to suspend a long green house along the front of the building. PLEASE don’t do this. Architectural vandalism. Also not sure how rehearsals/workshops etc will feel from inside a golsfish bowl, PLEASE try & come up with something that won’t actually deface an attractive & much loved Malvern centrepiece. The Malvern Theatres is a delightful complex. I have always thought that it would benefit from a conservatory type area on the back for socialising and perhaps food and drink, in a way that becomes a part of our Winter Gardens in any weather (where the present arrangement is very much inside the building and separate from the park). This may generate further income, and could offer further possibly combined opportunities for extra space in / above / outside? Great vision to support education and have additional rehearsal space but…. Please, please do not put this hideous monstrosity across the building on either the front or rear entrances. Surely a more sympathetic design can be found that would blend in and enhance it. Or as someone else has suggested, look to use another vacant building rather than building for buildings sake. I am horrified this has even got this far! It has to be a joke! I did glance at the date, just in case it was April 1st. Who dreams up these awful plans (and is probably well paid for doing so)? An absolute disgrace. Great idea in principle but an awful design. The rest of Grange road has classic buildings and the current style of facade fits in with them. How this design has ‘contextual links’ with the Priory I cannot imagine! There will be no privacy for rehearsals as it will be like being in a goldfish bowl. I love some of the new architectural styles but this just doesn’t work…….it looks just like a glass box stuck on the front of the building! While I appreciate the desire to expand the space and activities at the theatre I think this plan is monstrous and totally out of keeping not only with the existing theatre building but with the whole area. It may be appropriate for a large city but does not suit Malvern. Please think again. I take my son and his friend to Sing, Dance and Create on Thursdays and it’s been a positive experience for them both and there’s definitely scope for more in a similar vein for children and the space they use now isn’t ideal so I see the need for this project. Although I like it I do wonder if there wouldn’t be a better spot for this? That horrible area where the bins are that backs onto the park maybe. Or buy up that building opposite that is some kind of hideous nightclub and convert that, it’s the perfect location to blend in with the theatre! Great aim/idea but whoah, architectural execution and imagination is misguided at best. As others have alluded to – Do we really need a 1970’s airport terminal building in Malvern? The front and rear of the buildings are already of significant appeal. Surely other options in and around the immediate area including redevelopment of unused space/buildings exists? NB nothing against modern glass extensions if done right. Some can look fantastic. This is not one of those though. You’ve got a lot of negative comments here, probably all from a similar demographic. As a young (ish!) resident and frequent user of the theatre, I think it looks brilliant! The theatre needs to keep up with the times, and it still retains many of its original features so I can’t see what the worry is. Great idea for the use of space too. Good idea but wrong place! this should be on the rear of the building. We lost some of the character of the front building during the last refit. Don’t lose any more. Looks like fun. Onwards and outwards. Make interesting things happen in there and users will grow to love it. I fail to see how anyone could think this marries well with the existing building or Malvern town centre. I find it insulting that this monstrosity is even up for consideration. Very disappointed. Horrendous- completely out of character with the rest of the building. Why do today’s architects seem to think that they have to come up with something outrageous all the time ? Keep it simple and in keeping with the existing building please !! Great idea but what a dreadful looking structure. The back of the theatre is bad enough – why ruin the front as well? Is someone having a joke? Given that such a design and materials are probably a low cost option, and will cover what is a totally non-descript facade (just because it’s old does not mean it has architectural merit) – looks good. This looks horrendous. I have no problem with creative and effective modern architecture, but this is crass modernism for its own sake. It fails to harmonise with the current architecture and adds nothing to the aesthetic of the building. It also adds nothing essential to the role and function of the theatre. This particular development would be an inexcusable waste of local authority funds which could better be used elsewhere in the community. All the charm of a breeze block! Typical modern square glass monstrosity. Can’t you do better than this? From the picture it looks a monstrosity. I can see the benefit of building out on the NW face of the building, but the proposal isn’t in any way in keeping with the existing front. While a full glass curtain wall has advantages, the proposal doesn’t pick up any lines from the existing windows. Doing this would blend the new frontage in with the old. The arch way into the existing space is cut off at the top, which further disrespects the existing frontage. Looks like a boarding tunnel at an airport arbitarily stitched on with no consideration of the aspect of the existing theater. Completely out of keeping with the feeling of the rest of the building. Awful! Why on Earth is a glass box being put on the front? It is absolutely hideous and who wants to rehearse in public? The theatre has a glorious past which should be celebrated as much as its potential future. The beautiful frontage which signifies its past should remain as it is. There must be alternatives. Why not develop the Courtyard theatre and expand and then have an overhead walkway from the theatre to the practise space/rehearsal area? I think this will look absolutely dreadful. There must be far better ways to make the space. The other three examples look almost okay, but this design looks far inferior. Brilliant! Good to see Malvern Theatres investing in the future of young people and also being at the forefront of modernisation. Great use of space for many more activities we can all take part in. I listened to the presentation on Monday evening at the members evening. The extention will have a seating area, why is this needed, there are seats downstairs next to the restaurant. Apparently, it will also be a place for exhibitions, Ellerslie House just down the road is a venue that I am sure would welcome more business. The seating area at the front, next to the cinema is never used. It will contain showers for disabled people, this is a very odd concept. The building itself is out of keeping with Malvern’s architecture and an eyesore. As soon as a planning application is entered, I will be objecting. if that extension is on the frontage, it will look terrible and ruin the architecture of what is one the oldest theatre’s in the world. Im not sure how the Malvern Conservators would view such a development. The development idea is intelligent, but the execution is dreadful, and execution it will be.